We think learning these skills is just that important! Our tutorials are listed in the order you should read them. If you want to upgrade your learning, step-by-step screencasts and downloadable tutorials are available ala carte, or with an all access Learn Enough Society membership. Membership includes access to all tutorials and downloadable material, hours of streaming video screencasts, immediate access to new tutorials when launched, integrated progress tracking, community exercise sharing, and official exercise answers. This is the place to start learning technical sophistication. Learn Enough Developer Fundamentals covers three essential tools for the aspiring computer magician: the Unix command line, text editors, and version control with Git. After this level, you will be in a position to collaborate with millions of developers around the world, even if you're not (yet) a developer yourself. An introduction to the command line for complete beginners, the first in a series of tutorials designed to teach the common foundations of “computer magic” to as broad an audience as possible. Proficiency at the command line is also useful for anyone who needs to work with developers, such as product managers, project managers, and designers. Designed to help you learn to use what is arguably the most important item in the aspiring computer magician’s bag of tricks: a text editor. Unlike other text editor tutorials, which are typically tied to a specific editor, this tutorial is designed to introduce the entire category of application—a category many people don’t even know exists. The final installment in a trilogy of tutorials on developer fundamentals designed to teach three skills essential for software developers and those who work with them. This tutorial covers a third essential skill: version control, an automatic way to track changes in software projects, giving creators the power to view previous versions with ease. Every technical person should know the basics of the World Wide Web, and this set of courses covers the undeniable essentials: HTML, the universal language of the Web; CSS & Layout, which builds an industrial-strength but simple website. An introduction to HyperText Markup Language, the language of the World Wide Web. You'll learn the most important HTML tags by building a simple but real website, which you'll deploy to the live Web in the very first section! Teaches the basics of how to use Cascading Style Sheets, the way that website appearances are defined, and then continues deeper to show how to create usable site layouts using a templating system called Jekyll. Ruby is an elegant and intuitive object-oriented programming language that is especially known for its use in web development. Learn Enough Ruby is designed to get you started writing practical and modern Ruby programs as fast as possible, including an introduction to web development with Sinatra. It's great preparation for the Ruby on Rails Tutorial​, and can also be read afterward to solidify your knowledge of Ruby. With the foundations laid, you're now ready to learn industrial-strength web development with the full Ruby on Rails Tutorial. 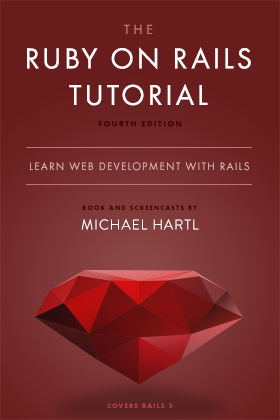 With 12 chapters and nearly 20 hours of video, the Rails Tutorial teaches you way more than enough to be dangerous. By the time you finish this course, you'll be able to build your own professional-grade web applications. 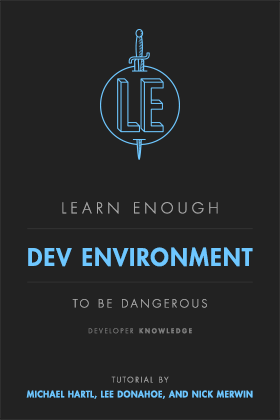 Every so often you'll forget little things like, "how do I setup this part of my development environment?" or, "how do I configure DNS records on my new domain?" So we decided that we'll be creating little short guides that help you remember those little steps you need to get your tech world running smoothly.